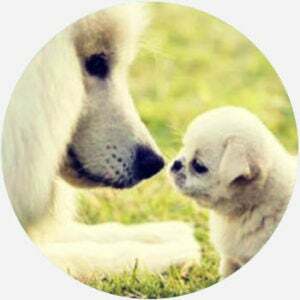 In the internet slang of DoggoLingo, smol is an affectionate way of saying someone or something is small in size—so cute you just want to squeeze 'em. It most often describes animals like puppies, kittens, bunnies, and even teeny-tiny reptiles. A smol bean is someone, such as a significant other, famous person, or a child, who is petite but precious. Scroll through the countless Facebook groups and Twitter accounts dedicated to sharing cute animal pictures and you’ll quickly see that dogs don’t have snouts, they have snoots, and cats come in a colorful assortment of shapes and sizes ranging from smol to floof. Where does smol come from? It’s hard to pin down exactly when smol started being used, but it joins a body of other cutesy or ironic misspellings in internet slang like moar in LOLcat memes or the deliberately broken grammar of Doge. Drawing on the long use of bean as an affectionate term for a person, the phrase smol bean first appeared on Twitter in March 2015, gaining further traction on sites like Tumblr, where people began calling their favorite celebrities beans regardless of their sizes. Smol and smol bean are used in reference to things, creatures, concepts, and people that are adorably small in stature. noah’s ark toy by d. jones at @igmaguildschool. Where people are concerned, especially famous people, smol doesn’t necessarily mean small. Tyler “Smol Bean” Joseph is around average height, for instance. Smol, here, captures a feeling that someone is sweet, cuddly, and needs some TLC. Smol is a favorite descriptor among fandoms, including One Direction, The Avengers franchise, celebrity YouTubers, Steven Universe, and K-pop. 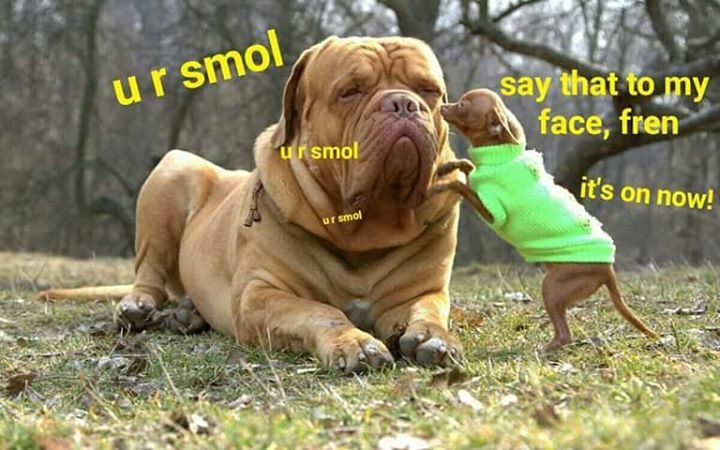 Tol (“tall”) and lorge (“large”) are antonyms of smol in DoggoLingo, where smol sees its most extensvie use.